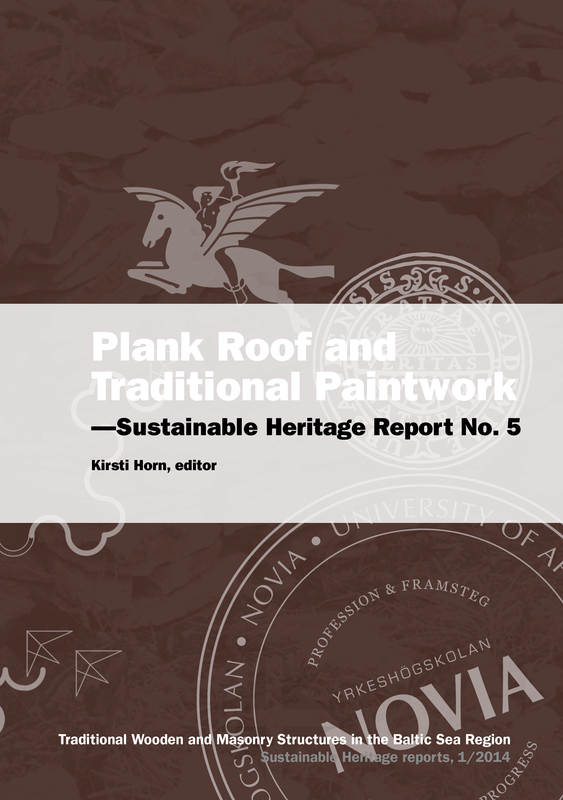 This report is about rescuing a historic building from total destruction and experiments with traditional paintwork; it is also about what an international group of students learned through lectures, excursions and their working experience in Ekenäs, Finland. The project Traditional Wooden and Masonry Structures in the Baltic Sea Region is designed for students of building conservation, conservation of artefacts, structural engineering and site management from three universities in Sweden, Estonia and Finland in order to give them the opportunity to learn about the traditional materials in different parts of buildings. From the conservation point of view they learn how constructions and surfaces made of these materials are to be preserved in the best manner. This report is about the rescuing of a listed, historic storage building from ruin. It is also about traditional surface treatment of wooden facades. And above all, it is a document by enthusiastic students of a successful international intensive course in Ekenäs, Finland in April 2013. The two fine results of the hands–on work during the intensive week are: a handsome slender roof in 18th century style, made entirely of wooden boards, and a newly painted façade supporting it. This report describes the materials for the roof—timber, nails and tar—and the building of it in great detail, not forgetting security aspects on a building site of this kind. The cooking of rye flour paint was another new but truly traditional experience for the participants of the course. In addition, many other traditional surface treatments and pigments for wood are delved into in detail. The focus of this report lies in what was learnt by doing: how a roof of planks should be executed and how traditional paint is made. All participating students from Campus Gotland at Uppsala University, Sweden, Estonian Academy of Arts, Estonia, and Novia University of Applied Sciences, Finland, have contributed to this report with text and photographs.